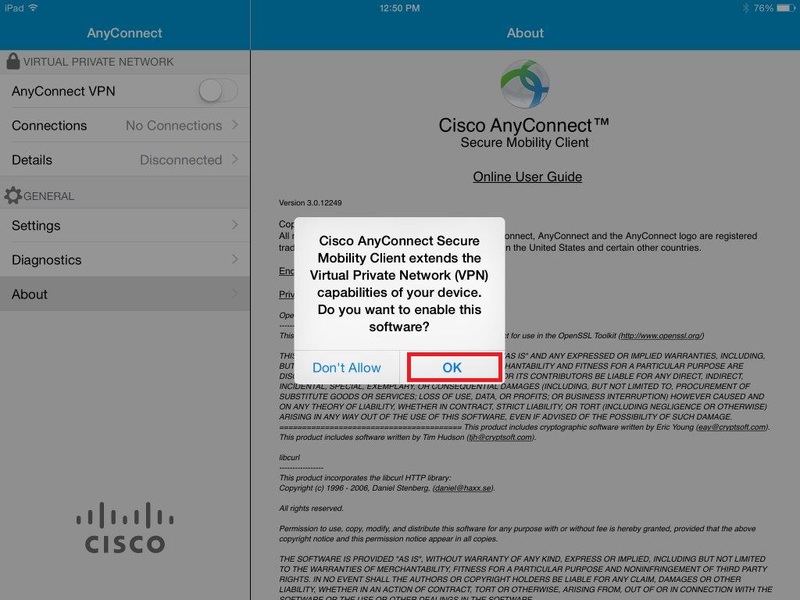 Follow these instructions to install and configure the Cisco AnyConnect app for your iOS devices. 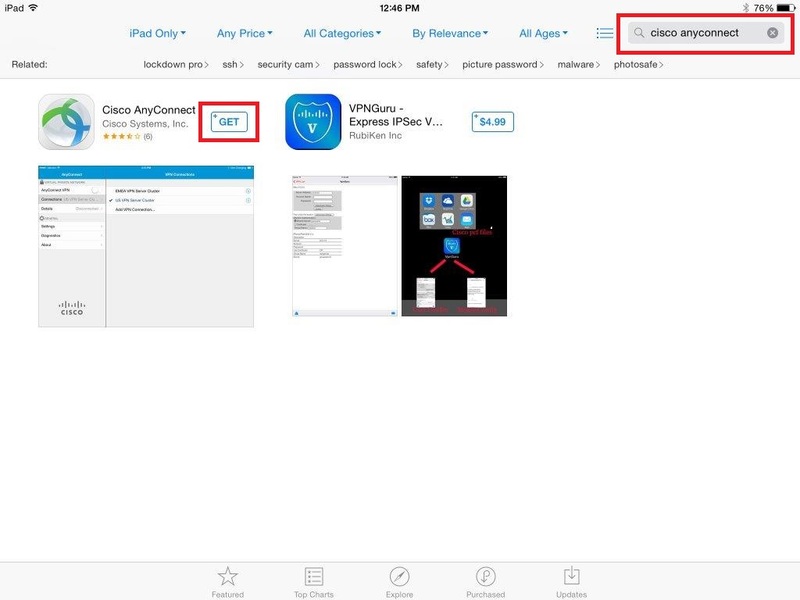 Go to the App Store and search for Cisco Anyconnect. Sign on to your Apple ID when prompted. Tap Get to download the app. 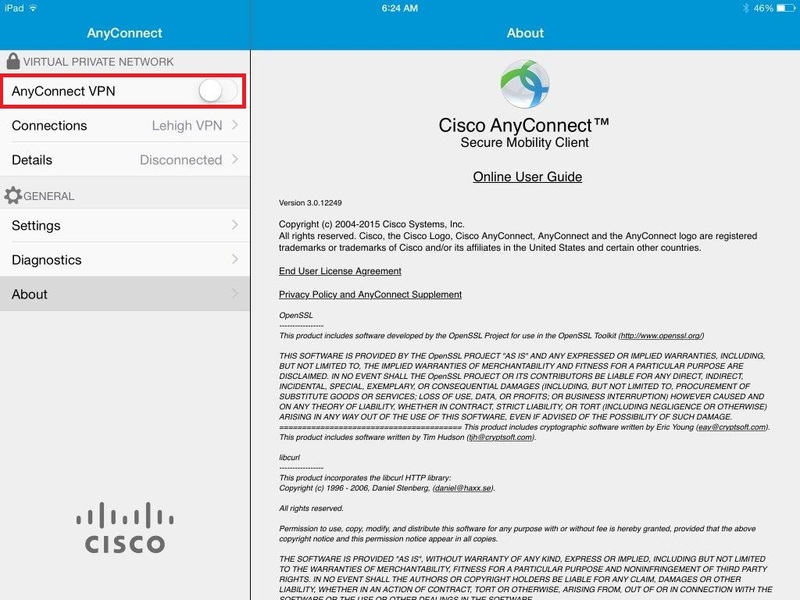 Tap the AnyConnect icon to start. When asked if you want to enable this software, tap OK. 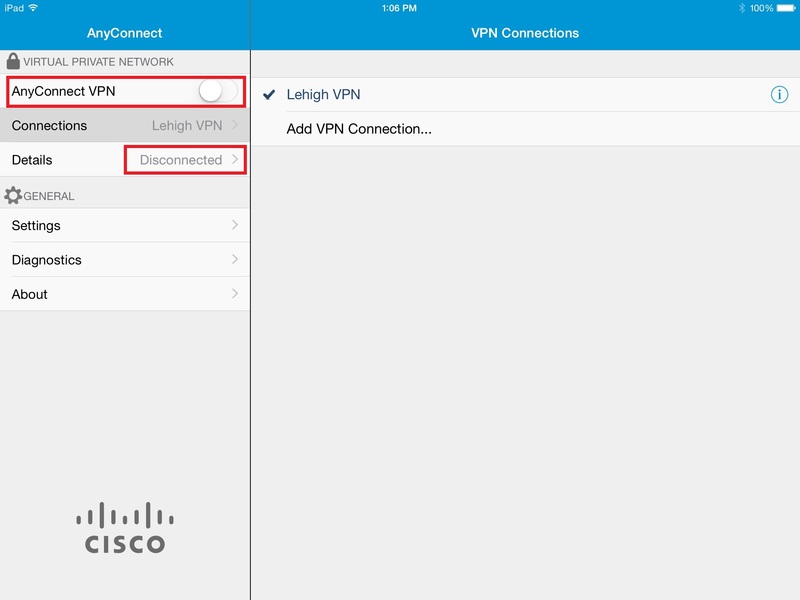 Enter Lehigh VPN in the Description field. 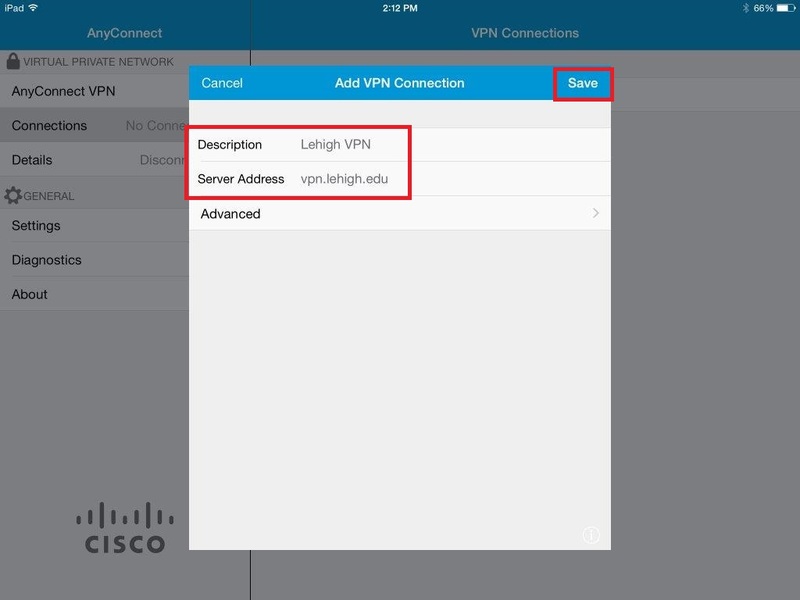 Enter vpn.lehigh.edu in the Server Address field. 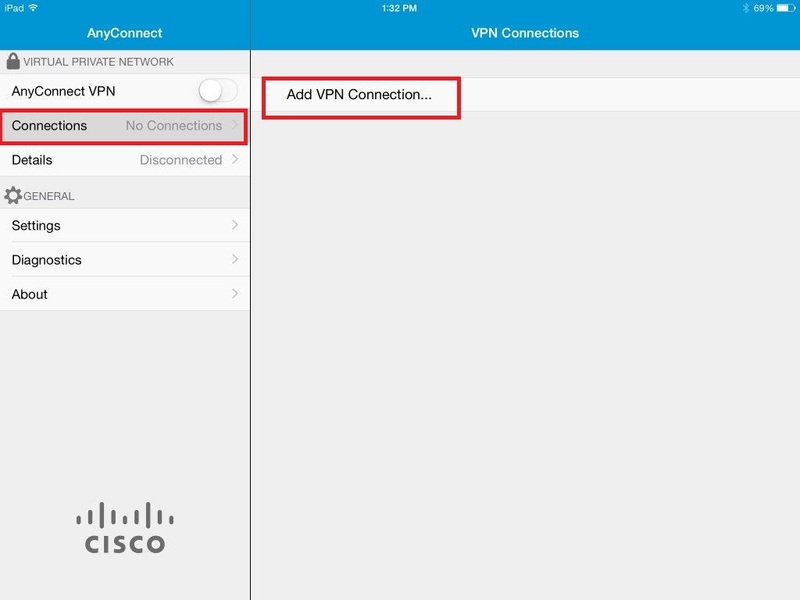 Swipe AnyConnect VPN to the ON position. 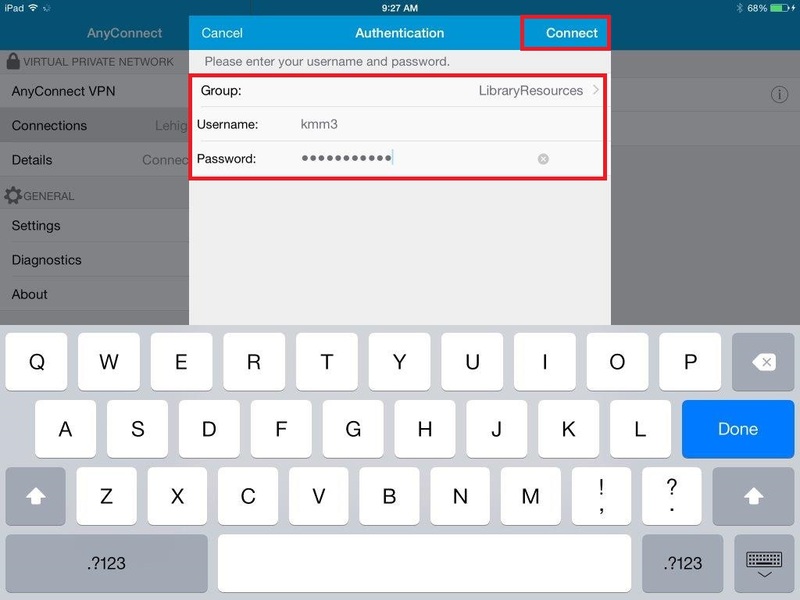 Then enter your Username and password and tap Connect. 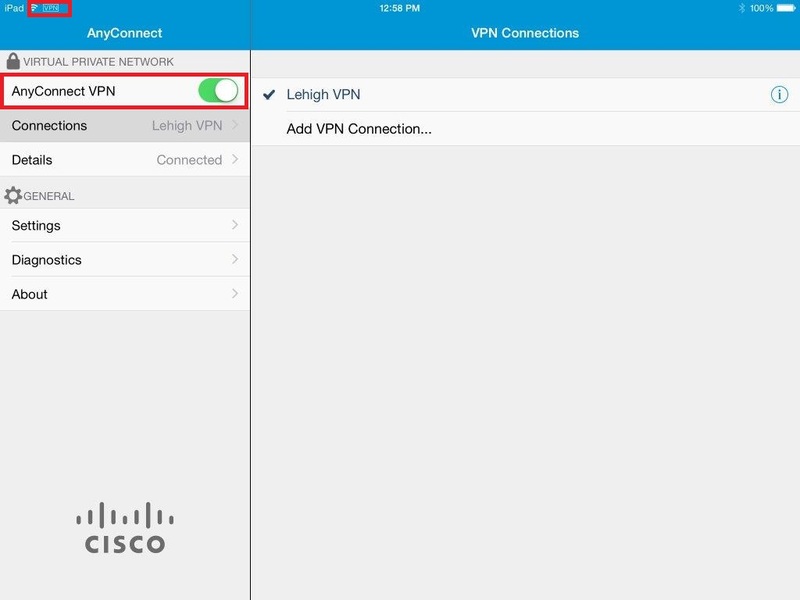 To disconnect from VPN, tap the Cisco AnyConnect app icon and swipe AnyConnect VPN to the OFF position.